KARL MAYER sets the trend at Heimtextil, on Stand K 65 in Hall 3.0 at Messe Frankfurt and during an in-house show in Obertshausen. 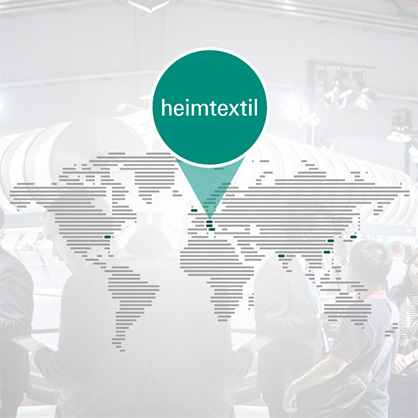 For the first time after roughly 40 years, KARL MAYER will again take part in Heimtextil in Frankfurt/Main. At the trade fair to be held from 8 to 11 January 2019, this innovative textile machine manufacturer will be introducing some worldwide novelties around the topics of terry fabrics and curtains. For this purpose, the company received from the organizers a stand located in the exhibition’s Trend Forum. There, KARL MAYER will be present on Stand K 65 in Hall 3.0 with an information booth. At the same time, an In-house Show will take place at the company’s headquarters in Obertshausen, which can easily be reached by shuttle bus. Machines and new textile developments will be shown there. KARL MAYER will pool its new activities in the field of weft warp knits for Heimtextil under the WEFT.FASHION brand. For this purpose, a new weft curtain article will be produced for the In-house Show. The trendy pattern is captivating due to an extravagant design in the currently fashionable woven-like look. Sophisticated fancy yarn gives the warp-knitted weft curtain a completely new face. For this article, KARL MAYER announces a new weft-insertion warp knitting machine with an extremely attractive price-performance ratio – entirely in line with WEFT.FASHION: New HOME ILES manufactured with the benefits of WARP KNITTING efficiency. Moreover, there will be a machine premiere for the terry segment: for the first time, KARL MAYER will be showing its TM 4 TS-EL in a working width of 193ʺ and in a gauge of E 28 in Germany. This efficient machine will reveal its high performance in Obertshausen by producing a revolutionary textile novelty: a double-face warp-knitted terry fabric with a soft velour layer made from microfibers on the outer face, and an absorbent surface made from cotton on the inner side. 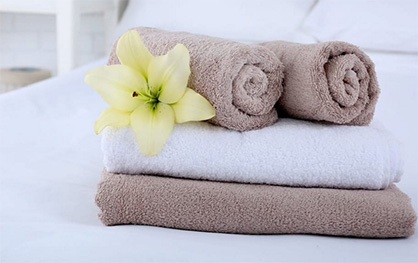 This article for bathrobes is not only functional and stylish, it also shows advantages in terms of environmental protection compared to woven counterparts, and this is due to the machine technology used for its manufacture.